World class athletes from the members of the Commonwealth of Nations, participate in the Commonwealth Games conducted after every four years. It is a multi sport event and is conducted under the supervision of Commonwealth Games Federation, which prepares the programme and decides the host cities. The Olympic games are conducted twice in a period of four years, with Summer Olympics and Winter Olympics alternating. 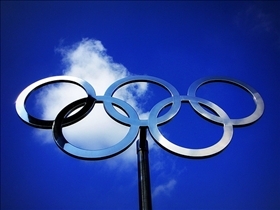 International Olympic Committee (IOC) looks after the Olympic Games. The Olympic Charter defines the actions to be taken and the structure of the IOC. IOC decides the host city which is responsible for the funding of the games. More than thirteen thousand athletes participate in the Olympic Games at a time. In 1930, the Commonwealth games were organised for the first time as the British Empire Games in Ontario, Canada. All participating countries have been colonized by the British. After a number of changes in the name, such as British Empire and Commonwealth Games, British Commonwealth Games and so on, these games settled with their current title in 1978. 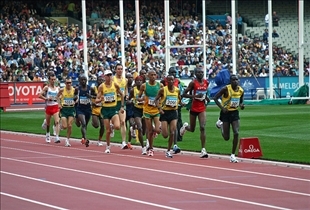 Australia and Canada have hosted the Commonwealth Games for the maximum number of times (4). The Olympic Games were originated in ancient Greece. The first attempt to modernize these ancient games was made in 1796 when the metrics system was introduced into sports. In 1896, the Summer Olympics were conducted for the first time under the supervision of IOC. 241 athletes from 14 countries participated in 43 events. Although Greek officials wanted Greece to be the permanent host of Olympic Games, the IOC didn't grant that permission and the Olympics have continued to rotate internationally ever since. The Commonwealth Games suffered from a boycott in 1978 due to issues related to the apartheid in South Africa. In 1986, nations from Africa, Asia and the Caribbean boycotted the games because of the Thatcher-influenced British government’s attitude against South Africa. Several countries boycotted the Olympic Games in the 20th century. Ireland didn't participate in the 1936 Berlin Games because it wasn't allowed to represent the complete island of Ireland and was limited only to the Irish Free State. Switzerland, Spain and Netherlands boycotted the Melbourne Olympics 1956 to support the Hungarian uprising against the Soviet Union. In 1980, sixty five nations boycotted the Moscow Olympics to show solidarity against the invasion of the Soviet Union into Afghanistan. Athletes carry the Queen’s Baton containing queen’s message to the athletes from Buckingham Palace to the opening ceremony. It is called Queen’s Baton Relay. The last person to hold the baton is generally a famous sports person of the host nation. The host of the previous Games leads the nations participating (alphabetic order) in the parade of athletes with current nation being the last. The Olympic flame is lighted in the opening ceremony by the final bearer of the torch. In closing ceremony, the Antwerp ceremony is held in which the flag is passed to the mayor of the city where next Olympic Games are planned. Commonwealth Games are conducted after every four years. It is conducted under the supervision of Commonwealth Games Federation. Were conducted for the first time as British Empire Games in Ontario, Canada. Athletes carry the Queen’s Baton containing queen’s message to the athletes from Buckingham Palace to the opening ceremony. These are conducted twice in a period of four years, with Summer Olympics and Winter Olympics alternating. Olympic Games were originated in ancient Greece. In 1896 Summer Olympics were conducted for the first time under the supervision of IOC. Antwerp ceremony is held in which the flag is passed to the mayor of the city where next Olympic Games are planned. Which athletic competition draws more TV viewers? World Cup vs. Super Bowl vs. Olympics: The pinnacle of sports? Swiss Alps vs. Himalayas: Which is more popular? Wild Card vs. Non Wild Card: How are they different?